Pros: good looks, superb ergonomics and tough, lightweight design coupled with premium optics and coatings make for a very compelling package that rivals top tier European binoculars. Stunning image quality and excellent handling make the Razor an absolute joy to use. The vortex VIP lifetime, transferable no quibble warranty is simply unparalleled. Cons: practically non existent. I had to fiddle with the dioptre setting a bit to get the bins set for my eyes… but once set the resulting image couldn’t be faulted. Again a very impressive binocular from Vortex… the 2012 / 2013 Vortex Razor HD is a premium binocular that really can give the industry leaders a run for their money at a price that, while expensive, is still significantly lower than flagship models from the leading optics brands. Pretty much the only thing you sacrifice with the Razors is the “big brand kudos” you get from toting the acknowledged “best of the best”. On paper, and more importantly in the field, the Razor matches them every step of the way, and has a warranty that none of them comes close to. If you’re shopping for premium grade optics the Razor certainly deserves a place on your shortlist. View the Vortex Razor HD on the UK & Ireland distributor Newpro’s website. 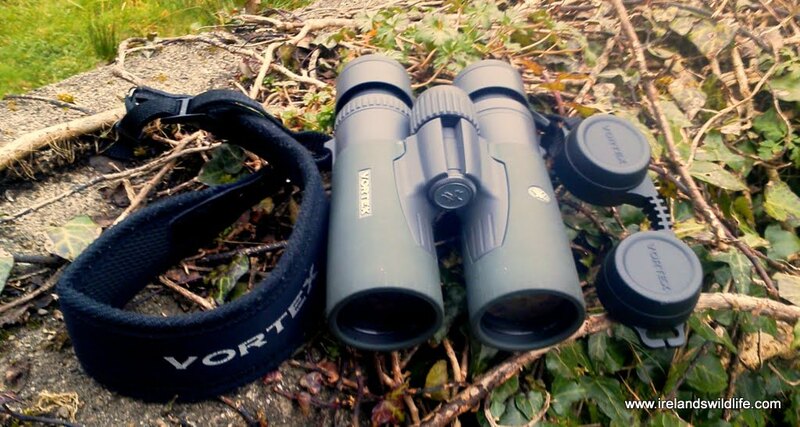 When I reviewed Vortex’s excellent Viper HD binocular last year I was very pleasantly surprised. It was my first experience with the up-and-coming US optics brand and I was suitably impressed, not just with the optical quality, but also with the overall experience of using them. When Vortex sent a pair of their new Razor HD to IWHQ for review I was intrigued to find out just how much better they could be. The Razors certainly didn’t disappoint. The Razors are a great looking binocular. Sleek, contemporary and elegant they practically beg to be picked up, and when you do they’re both light and reassuringly solid. The combination of textured rubber armour and the exposed grey coating of the magnesium alloy chassis is both attractive and very comfortable in the hands. The rubber — which is rough like very fine emery paper — gives outstanding grip… especially when coupled with the single hinge design that exposes the lower end of the barrels and encourages you to wrap your fingers around. The Razors are perfectly balanced and their lightweight, streamlined design makes them comfortable to carry and use in the field for long periods without any noticeable fatigue. The single hinge and wraparound grip is superb, and using the binoculars is seamless and comfortable. They are easily one of the most comfortable and ergonomically satisfying binoculars I’ve ever used. The twist up eye cups have a rubber coating that makes them very comfortable to hold to your eyes, and offer two intermediate stops between the fully down and fully up position — they turn smoothly and click into place so there’s no danger of them moving once set. With a maximum quoted eye relief of 16.5mm these binoculars should work well for most people who wear glasses. The magnesium alloy chassis is light but exceptionally strong, and lends the binoculars a robust, solid feel while keeping their weight down. All of the mechanical parts move smoothly and with a suitable amount of resistance and the build quality and attention to detail is excellent. Naturally the binoculars are sealed and fully waterproof making them impervious to the elements and the ingress of dust and other particles, and all internal air spaces have been purged with the inert gas argon (as opposed to the more usual nitrogen) to remove all trace of moisture and prevent internal fogging. When you open the packaging of the Razors you’re greeted with a message: “Prepare to be Amazed”! That’s a strong claim… and you could be forgiven for dismissing as marketing bunkum. But look through the Razors and you’ll soon see that they really do deliver: the clarity, resolution, colour fidelity and contrast are exceptional. Vortex uses premium quality high density (HD), apochromatic objective lens elements — which contain fluoride — and are purported to be a step up the quality chain from the already impressive HD glass used in the outstanding Vortex Viper HD. Coupled with dielectric phase correcting coatings on the prisms and the company’s proprietary range of premium XD multi-coatings on all air-to-glass surfaces you get a bright, clear, stunningly detailed view that easily rivals the best binoculars out there. The field of view is notably wide for a 10x binocular too — at 6.9° it borders on the field you’d expect from a good 8x, and really does give that elusive “walk in” feel (for comparison, the flagship Swarovski 10×42 ED Swarovison, which is itself classed as a wide angle 10x binocular, sports a field of view of 6.4°, Leica’s flagship 10×42 Ultravid HD sits at 6.4° and Nikon’s flagship 10×42 EDG at 6.5°). There is very slight softening really close to the field edge, but it’s hardly noticeable even when you look for it, and certainly doesn’t affect normal use. As you’d expect with HD Apochromatic glass, there’s almost no sign of chromatic aberration or colour fringing on high contrast subjects, even out near the limits of the field of view when you actively look for it — it’s nonexistent in the centre… and you’d struggle to pick up any sign of it using the binocular normally in the field. While they offer an outstanding view in any light, the Razors really excel in low light, delivering a bright, detailed image long after most binoculars give up, and very nearly matching my outstanding Swarovski SLC 10×42 HD (which offer exceptional low light performance for a 10x binocular). The Vortex Razor HD excelled in all sorts of conditions — a truly accomplished all-rounder. The focus mechanism on the Razor HD is very smooth and easy to turn. The ridged, rubber-coated focus wheel is wide and offers plenty of grip, and when you hold the binoculars it’s perfectly positioned. Focusing from a close focus of around 1.8 metres (6feet) to infinity takes about 1.5 anti-clockwise turns, although most of the focusing takes place in the last quarter- to half-turn or so — with the rest dedicated to fine-tuning the impressively close focus. The focus is smooth fast and precise. The very smooth, fast action did lead to me overshooting focus a little initially when I first picked up the Razors, or if I came back to them after using other binoculars, but that’s something you soon get used to it. The dioptre adjustment is a metal dial just beneath the right hand eyepiece. To set it you simply lift it, turn it to the desired setting, and slide it back down to lock it. Simple and effective. While I normally have the dioptre adjustment on most binoculars set “dead centre” or on “0” — for some reason I had to set the Razors I received about 2.5 stops over towards the “-” (anti-clockwise) for my eyes. I was surprised by this… but once set properly the Razors performed flawlessly… and of course if there is a problem at any time the Razors are covered by one of the best warranties in the industry. The Vortex Razor HD comes with a high quality neoprene strap, a padded cordura-style carry case, a good lens cloth, an eyepiece rainguard that attaches to the strap, and high quality tethered (removable) rubber objective lens caps. Like all of Vortex’s binoculars the Vortex Razor HD comes with the company’s outstanding VIP warranty. It’s a transferable, unlimited, no-fault lifetime warranty. That means that Vortex will repair or replace faulty or damaged binoculars free of charge… regardless of how the damage occurred, for as long as you or anybody else owns them. So, as long as you have your damaged optics (it doesn’t cover lost or stolen binoculars, for obvious reasons), you’re covered… it’s that simple, and that comprehensive: no product registration or purchase receipt required. It has to be one of the best warranties out there — and certainly beats anything else currently offered in Europe. With the new Razor HD Vortex has raised the bar again, and delivered a binocular that really is up there in the realms of the acknowledged Alphas. Optically and ergonomically it is an outstanding piece of wildlife watching equipment that will last a lifetime, and at a price that, while expensive, is significantly lower than equivalent specification optics from the market leaders. 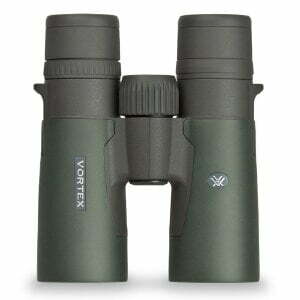 If you’re looking for high end optics then check out the Vortex Razor HD — they don’t come much better! 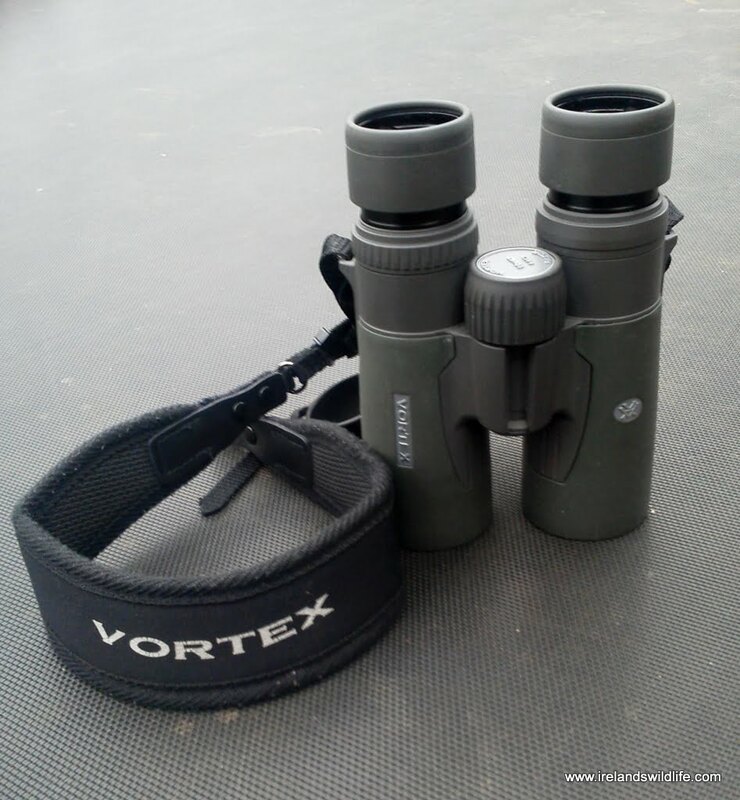 If you’d like another independent view of the Vortex Razors Jason over at Best Binoculars Reviews takes a look at the 8×42 here. 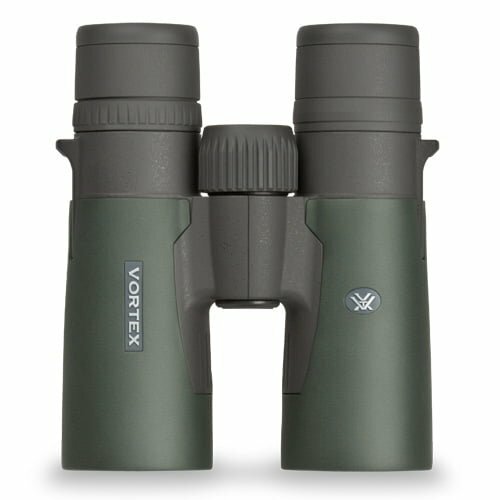 I’d like to thank the team at Vortex Optics in the USA for submitting the Razor HD 10×42 for review on the Ireland’s Wildlife website. NB. Ireland’s Wildlife has no specific affiliation to any optics or gear manufacturer and all reviews on the site are completely independent and objective. Reviews are carried out by a select team of experienced birders and wildlife watchers, and all gear is tested in Ireland under field conditions. If you’re an optics or gear manufacturer and would like to submit your wildlife related product for review on the site please drop us a line using the contact form and we can take things from there.